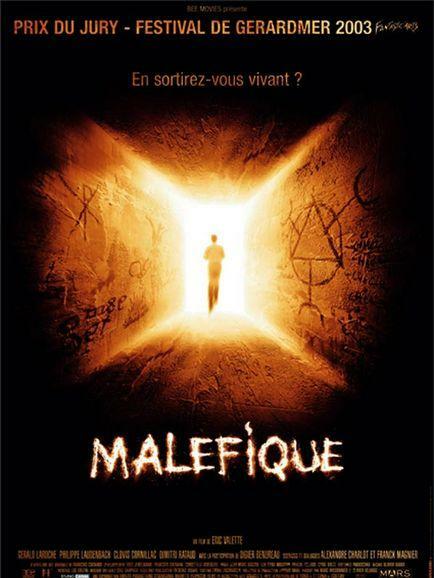 If Jean-Pierre Jeunet was to make a horror movie, there would be Malefique. Well, Malefique has an ensemble of oddball characters, each of who has a special skill of sorts. The story is quite quirky and it's set in what might be the past, but feels like the present. The colors are very warm and sepia-like, and it's not scary in the least. Even though the whole film plays out inside a prison cell, calling it a prison movie is stretching it. Calling it a magical adventure doesn't quite fit either, even though it is basically about magic. And labeling it as comedy does not feel right, even though it has some hilarious moments of twisted humor. So let's just say it's an adult fairytale, about what would happen if the only thing you have to read in prison, is the Necronomicon. I love French cinema, but it is difficult to think of a good French horror flick. Is this one? I give it 7/10 - its very dark and tense, but just lacking something! agreed, the film is not perfect, but still a pretty nice ride IMO. As far as good french horror goes: how you seen Martyrs?